Let's say you have an event to go to that was different kinds of things rolled into one... what would you wear? How about a drive-in movie, a food fest, and a party happening at one place? I'm pretty sure I will have to wear something that will allow me to sit comfortably through the movie, eat all the food I can get my hands on, and have no problem dancing when the beats began to drop. But if you know me well enough (and if you follow me on Twitter), you'll know that food is top priority! Yes, the main concern is being able to eat all the food I can get my hands on. LOL. I basically have the appetite of my three brothers combined... which is why I also need to start working out again. So when I heard about Roux 28, which is an event by De La Salle University's Business Management Society, I quickly went through my closet to plan potential outfits. One of which is this Indie-Go Boutqiue romper and Flaura Tiara floral crown combo. They seem so effortlessly chic together that it felt like a no-brainer for an event like Roux 28. Especially since they're encouraging everyone to come in their hippest attire! 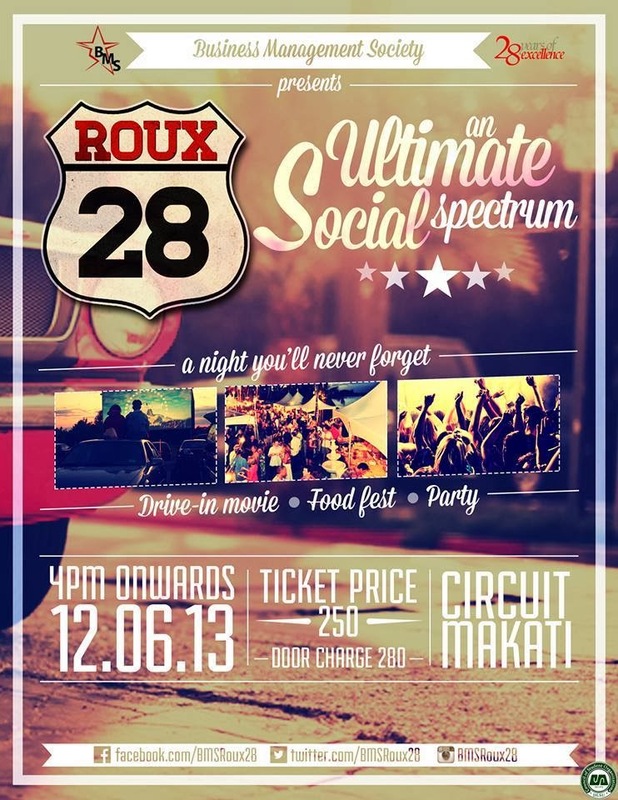 To break it down for you, Roux 28 is the ultimate social spectrum happening on December 6 (Friday) that puts food, a party, and a drive-in movie all in one place - Circuit Makati. Ticket price is only P250 and door price will be P280. You'll also be able to help out with raising funds for the Jaime Hilario Integrated School, Mano Amiga Academy Inc., and the victims of Yolanda. super like the porma! like! like! like!